If you’ve been following along on our bedroom remodel adventure, you’ll know that I have one last post to do…the final outcome! We finished renovating the room by the end of September and I finished putting the final touches on it by mid-October. I hung sheer curtains to hide the entertainment cabinet. I hung them everywhere actually, lol. They’re in front of our window curtains (hemmed, of course) and they go alongside our bed, too. Obviously, they are just for aesthetic purposes, but I love the soft, welcoming feel they give off. My chandelier was re-hung and I love how it gives the room just a tad bit of color. It breaks up the monotony of the all-white scheme. I ordered a duvet cover for the comforter you see below, as we wanted the extra warmth come wintertime. It showed up a couple weeks later. I got printer ink on my comforter the day after I put it on my bed. Go figure. Good thing it was only on the comforter though. I was right, the little ledge Nic built ended up being perfect as a display shelf for my favorite crystals and mini-statues. The shelf above our heads holds EXACTLY all my books. I love how they’re all in one place now. We have a plan for keeping the items on the shelf in transit mode. It isn’t a necessity to built it right now, however. And the Essential Oils cabinet that I custom designed and built all by myself turned out AWESOME for that little wall. The triple thick curtains I sewed, that are covering our window, work wonders for keeping out the cold. Sheer curtains don’t hide the entertainment cabinet 100%, but they do help to hide some of it. It’ll do until we can build cabinet doors. My duvet cover arrived and it DEFINITELY adds a whole additional level of warmth to our comforter. A little too much, actually. It gets thrown off of us every night, but I’m sure we’ll grow to appreciate it when it’s –20 degrees outside! My beautiful friend sent me that winged scarf you see hanging on the wall as a baby gift. It’s absolutely gorgeous!!! I wish you could see it in person. Only then would you be able to truly appreciate its beauty! I am soooooo absolutely, incredibly, completely in love with the all-white scheme and how everything turned out. Now, I just hope I can keep everything white. My favorite part…of course. My Essential Oils cabinet. Now, I can see them all perfectly lined up in a row, alphabetically and I don’t have to search through all of them to figure out where the one I need is. Before, they were doubled and tripled up and it made finding something impossible. Also, they barely budge in transit mode. Between my precise measurements, design and the doors I added, those oils aren’t going anywhere. And I’m so glad…because we would be so completely lost (not to mention a whole new level of unhealthy) without them. Check out our NEW Essential Oils Facebook page!!! Learn how you can take back your health! Find out what these little bottles do for my family and what they can do for yours. 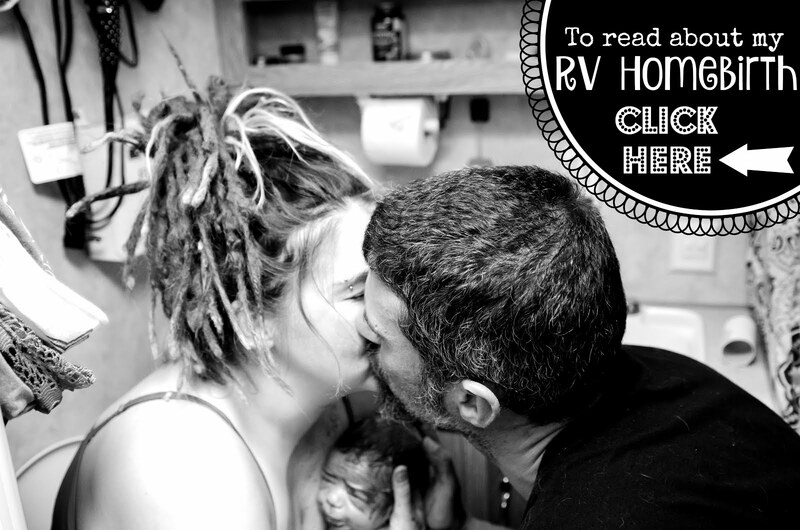 Thank you for following along on our bedroom remodeling adventure…for the 3rd time in the history of this RV, haha! It doesn’t even look like the same room anymore. I don’t even recognize it, and that’s my favorite part! The all-white brightens the room up so much, and it makes the space look larger. It’s still a tiny room, but it perfectly suits our needs. We get to enjoy waking up in it every morning and going to sleep in it every night. My only regret, is that I didn’t do this sooner. I can’t wait until I can do the kitchen, dinette and hallway the same way…but that is for another day…or month…or let’s be real, probably year.